Posted March 28, 2017 by Sue Peffer & filed under News. Cambridge, UK – 28 March 2017 – Cresset, innovative provider of software and contract research services for small molecule discovery and design, signs three-way strategic agreement to speed up drug design. 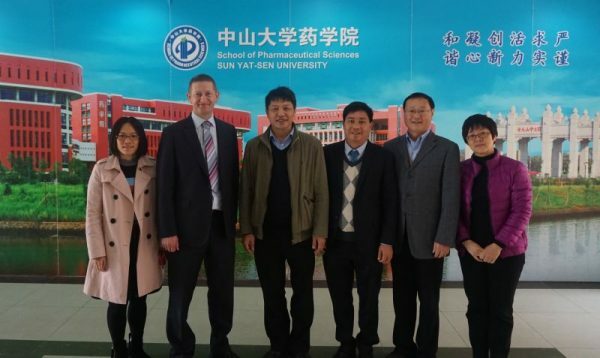 Dr David Bardsley, Commercial Director, Cresset visited the School of Pharmaceutical Sciences, Sun Yat-Sen University, Guangzhou, China to sign a strategic cooperation agreement for drug design technology, developed within the Research Centre for Drug Discovery (RCDD). 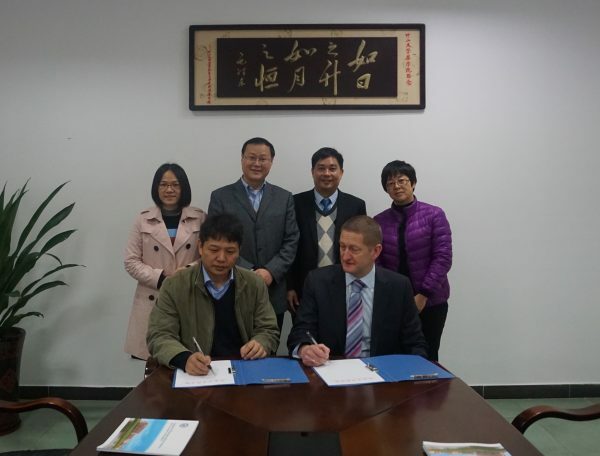 This visit was in response to an invitation from Professor Jun Xu, RCDD, and was hosted by Mr Wenhao Hu, Dean of the School, and Huichang Bi, Vice Dean of the School for International Development. A further agreement was signed between Dr Bardsley and Mr DeKang Zhang, Chairman, iPrecison Medicine Technology Inc., whereby Cresset will promote iPrecision software and technology globally. This agreement follows the transfer of 10 drug design software patents from RCDD to iPrecision last year.